By now you’ve probably heard about the new Super Bowl commercial by Tourism Australia featuring the who’s who of Australia’s glitterati. Based on the very popular movie - Crocodile Dundee - Australian Tourism came up with a genius advertisement campaign to boost Australian tourism to Americans. 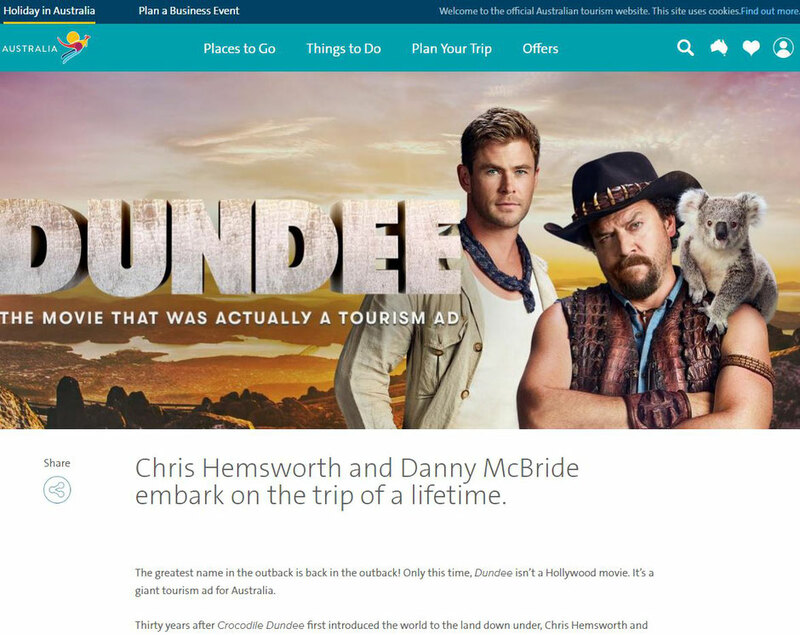 In a supposed sequel, Dundee: The Son of a Legend Returns Home – Dundee is missing and his son, played by American Danny McBride returns to Australia to look for him with the help of a local expert played by Chris Hemsworth. The official website for the film featured the names of the actors starring in the movie which included quite a line-up of Aussie movie stars like Chris Hemsworth, Liam Hemsworth, Russell Crowe, Hugh Jackman, Margot Robbie and Jessica Mauboy. It even went on to name the company, Rimfire Films – the company that produced the original Crocodile Dundee movies. Obviously, the buzz started on social media making its rounds with behind-the-scenes-photos of the movie in-making on Twitter and also with movie stars sending tweets and photos on Instagram announcing the upcoming movie to their followers. On February 4, 2018, about a 110 million Super Bowl viewers in the US saw the advertisement which starts out like the other fake trailers but halfway through the "trailer" Chris Hemsworth – also Australia’s global ambassador - reveals that this was an advertisement to visually portray Australia’s beautiful beaches, wine regions, restaurants and the its expansive landscape. But before that, the buzz had already generated some massive attention. The $27million campaign is the largest US campaign since Paul Hogan’s “Come and Say G’Day” effort on 1984. Massive campaigns like this are risky business - and has this campaign paid off? We don’t know – but the numbers will tell if more Americans are embracing their adventurous side and visiting Australia. However, a campaign like this – even though it is NOT content marketing - can teach us a lot about good content – the kind that goes viral, generates a buzz and causes a reaction. In other words – the kind that makes an impact! 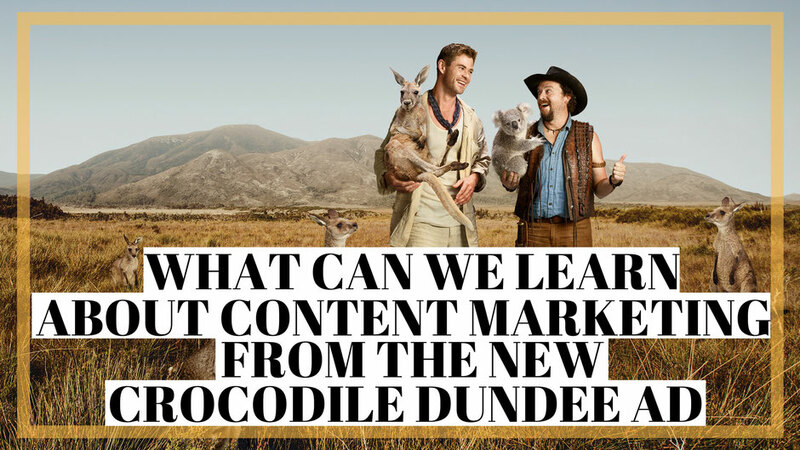 So what can we learn about content from Tourism Australia’s Crocodile Dundee ad campaign? 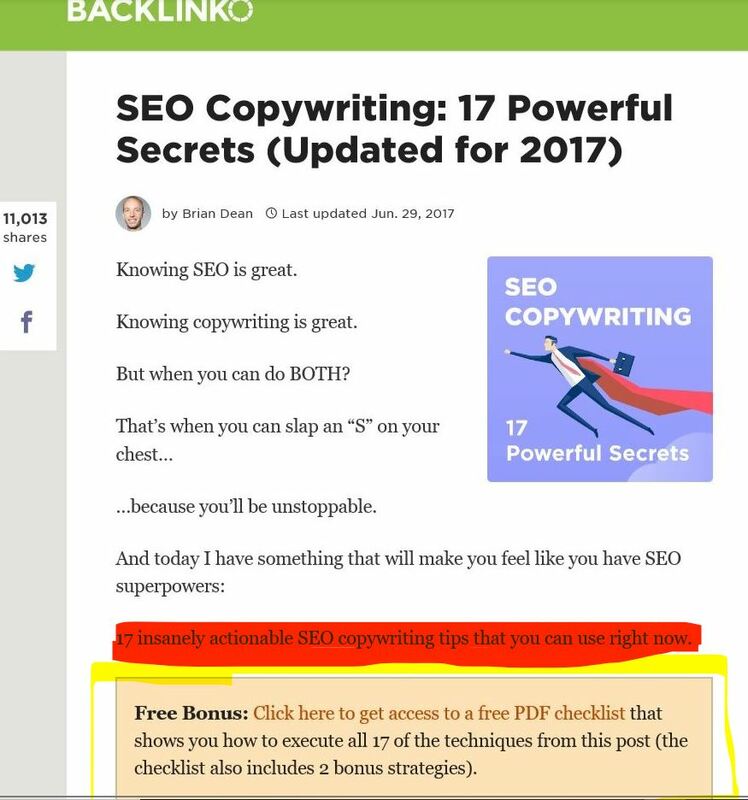 Neil Patel, wrote a detailed post explaining the 7 key principles of content marketing to be successful. The number one goal of content marketing is to provide value to your reader. Content comes in many forms like blog posts, videos, infographics and more and every piece of content should be valuable to your audience. Value can be defined in many ways and is highly relative to who your audience is. Some people want information while others want to be entertained. You can provide how-to guides, tutorials and tips on how to do certain things, or give them information about questions that the audience has or provide them with the knowledge that they seek. On the other hand, you can entertain them, make them laugh or connect with them on an emotional level. Although this is intangible value – it is still providing value as the audience comes away gaining something - even if it is a few laughs! The Content Marketing Institute defines content marketing as " a strategic marketing approach focused on creating and distributing valuable, relevant, and consistent content to attract and retain a clearly defined audience — and, ultimately, to drive profitable customer action." The audience is always drawn to content which provides them value. After all, what they ask is "What's in it for me?" and successful content answers that question by showing them the audience the value in consuming that content. Let’s see how the Crocodile Dundee ad campaign provided value to its target audience – prospective tourists from the US. First of all, it entertained, intrigued and got them all excited – it created a buzz. Tourism Australia says that even before the main advertisement was aired at the Super Bowl, they had a social media reach of 412 million people and the fake trailers were viewed 68.8 million times and were double the number of any other Super Bowl ad online. But let’s talk about the content of these faux trailers and the main ad itself. Everything about those trailers – from the storyline to cinematography focussed on Australia – it's landscape, it's beaches, it's wildlife, it's restaurants but most importantly it captures the self-deprecating humour of Australians and their warm welcoming personality. This brilliant ad campaign provides touch points to Australia throughout the campaign - and you almost feel that you are part of that Australian journey. It provided the audience an escape to a country that they may dream of visiting and it excited them because they thought there was a new movie in store for them over the coming year. Research showed that while tourists from US certainly intend to visit Australia, they face certain barriers such as the great distance between the two countries and a lack of information - Australia is still an abstract destination for Americans and the ad fills this gap and gives US tourists some answers...creatively. Your content must be able to capture and convey your unique personality or the personality of your business. And this is done by being authentic or rather be being your true self. If the content is for a business, then it should reflect the personality of the brand. What is the brand about? Is it a serious formal kind of business like a health insurance company? Then perhaps there is a need to be more informative and the content should be written in a slightly formal tone. 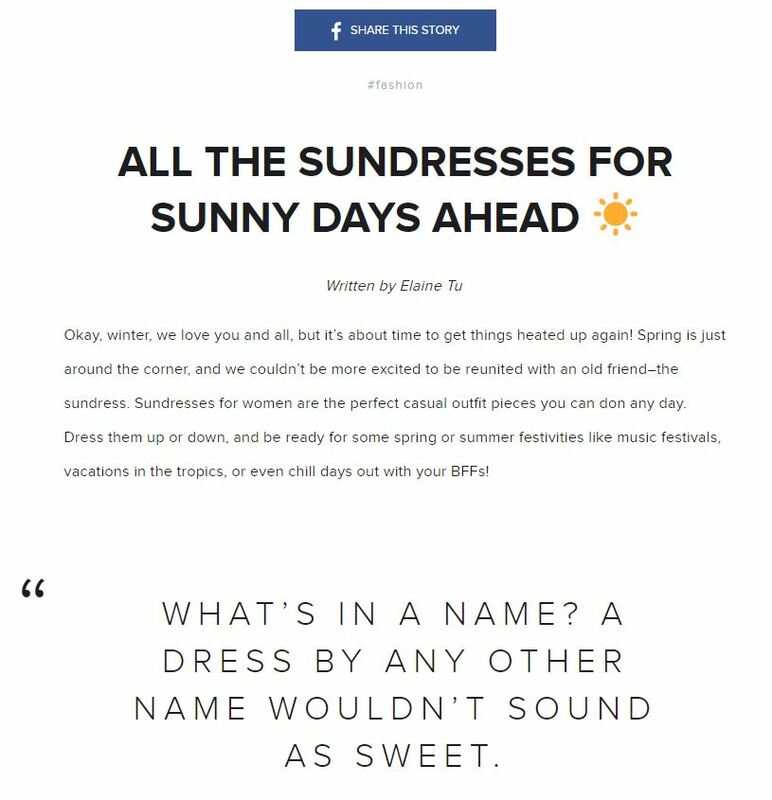 If the brand is fun and flirty like young women’s clothing brand then perhaps insert fun words and language used by women in that segment. Being authentic also means providing new content which is different. After all, if you traverse the internet you will probably find content of all kinds and what you plan to write on or create is already done. But can you give your content idea a new twist? Provide a new angle to the content, target a new audience group or update the content with new research? As a content writer, be as authentic and original as you can. Don’t try to please every audience group as they will always be someone who doesn’t like the way you write or what you have to say. Most importantly, be yourself and make those human connections with the way you write. After all you are writing to humans and humans connect emotionally. By putting your personality on the internet you are sure to draw a large chunk of human beings who will connect with your stories and your authentic content. So how did the Crocodile Dundee advertisement make those connections? Was the campaign authentic? Did it show personality? “30 years ago Crocodile Dundee (movie) and Paul Hogan did a great job of captivating American audiences and putting Australia on their travel wish lists,” says Chris Hemsworth in a recent statement. It painted a picture of Australia and helped shaped their view of the natural beauty and the friendly and welcoming nature of Australians. 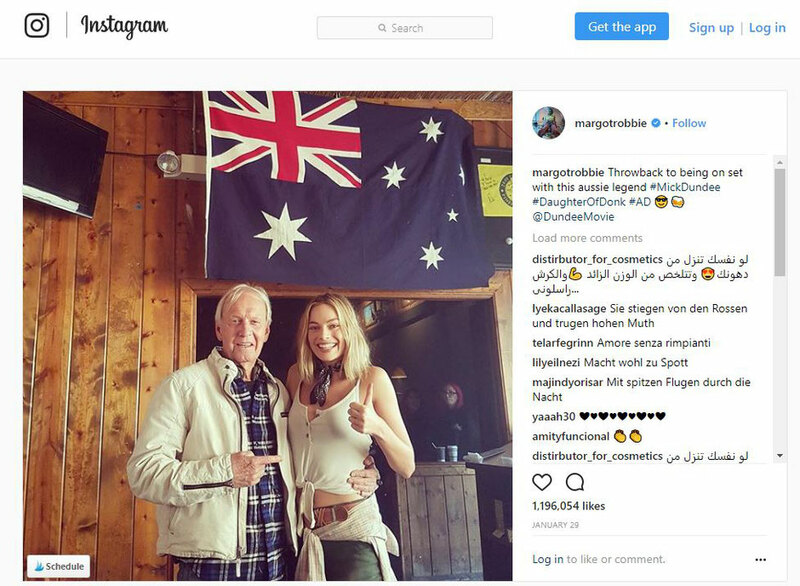 Research shows that Paul Hogan’s character is still the one that Americans believe warmly represents the Australian way of life. The new campaign follows on that same impression created by the original movie. The audience didn’t want to a see a highly sophisticated, cultured highbrow ad campaign but rather one which truly reflects their impression of Australia and the true personality of the country – and this ad campaign delivers all of that authentically. Sure, it follows in the wake of the success of the original movie, but it gave the campaign a new twist, a new story for the audience to get excited about and more to look forward to. Let’s talk about the content of the ad itself. The visual imagery captures the beauty of Australia’s outback and its beautiful beaches and weaves that Australian sense of humour into the screenplay. 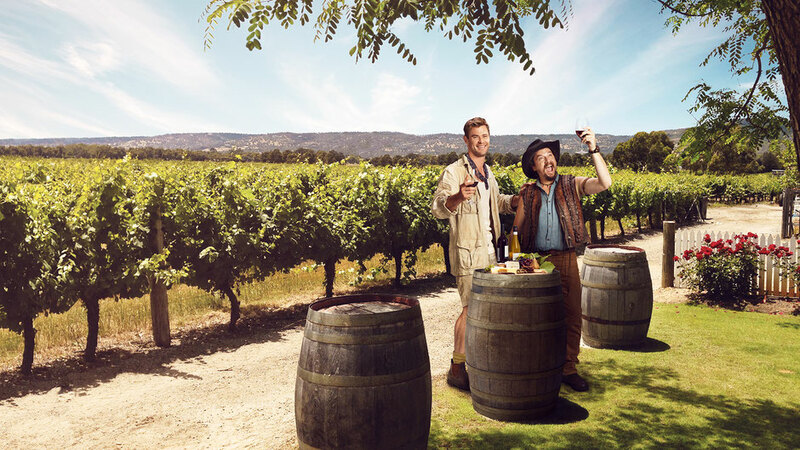 Australia is not all outback areas and has its fair share of cities and towns that boast fine restaurants and dining experiences including a world-class wine region – all of which is shown authentically in the ad campaign notching up the personality level of this campaign to top marks. When it comes to content marketing persuasion works differently from advertising. After all, advertisements are created to persuade the audience to take a particular action which is what the Crocodile Dundee ad campaign is. In content marketing, persuasion comes down to engagement. If you can engage with your audience on an organic level through your content then you have winner in your hands. Neil Patel indicates that persuasion in content marketing really means convincing your audience that your point of view is right and that is done by backing up your claims through validation. Validation only counts if it’s from credible sources like experts on the topic. According to Neil, if you have a clear stance on a topic, then state it clearly and back it up with the help of thorough research – but do it in a way that engages with the audience. Writing a long blog post that drones on and on about the topic but fails to engage, even though it is backed by credible sources and research is basically a useless piece of content. Engagement can be derived by instilling personality, choosing debatable topics, generating interest with a headline that connects, creating stunning visuals that entice emotionally and increasing user participation through quizzes and fun contests and other ways. The Crocodile Dundee ad campaign definitely engaged before the actual ad was even viewed on the day of the Super Bowl. The social media numbers say it all. According to advertising tech firm, Amobee – Tourism Australia’s digital mention increased by 681 percent in mid-January and it finished second only behind Budweiser for global digital engagement with Super Bowl ad-related content between 1 January and 1 February. But why did the ad engage with the audience so well? While content marketing uses various methods to draw engagement, one sure fire way to do this is to target the right audience. It’s all about your buyer personas and at the crux of content marketing lies this very important strategy – target the right audience with the right information (content) at the right time. Tourism Australia wants to raise Australia’s profile in the US. Currently, inbound travellers from the U.S, accounts for 780,000 visitors a year which brings in revenue of $3.7 billion to the Australian economy. The plan is to raise this amount to $6 billion per year by 2020 and this means targeting high-value travellers in the US – a new generation of American tourists. By playing the ad at the Super Bowl – the biggest TV broadcast in the US with approximately 11 million viewers - the campaign reached 50% of its target audience in one night. The Super Bowl is a highly anticipated event and the audience is primed to look out for extremely creative ads and will reject brands that don’t deliver on that. With expectations riding to such a high level, Tourism Australia had to come up with something so creative which will no only touch on American emotions, but present something very Australian. The result – a brilliant campaign which till date had been viewed 900 million times. This campaign delivered an advertisement primed for the US audience at a venue where it can't be ignored! Every subsequent piece of content you create should notch up the trust your audience has in you, in your business and the delivery of a promise in your content. Trust is developed in many ways – through validation, engagement and consistency. When you consistently start publishing content that fits your personality and your voice and when you start doing this on a regular basis your audience knows what to expect from you -thus developing loyalty and trust in you and your brand. Neil Patel points out that trust starts with delivering on the promise of the content. So if you’re telling your audience that a particular product is amazing then you need to make sure that the product is really that amazing. Just like Tourism Australia’s advertisement. It visually delivers a stunning overview of Australia’s beautiful landscape and people, enticing visitors to come and visit. It delivers on that promise. 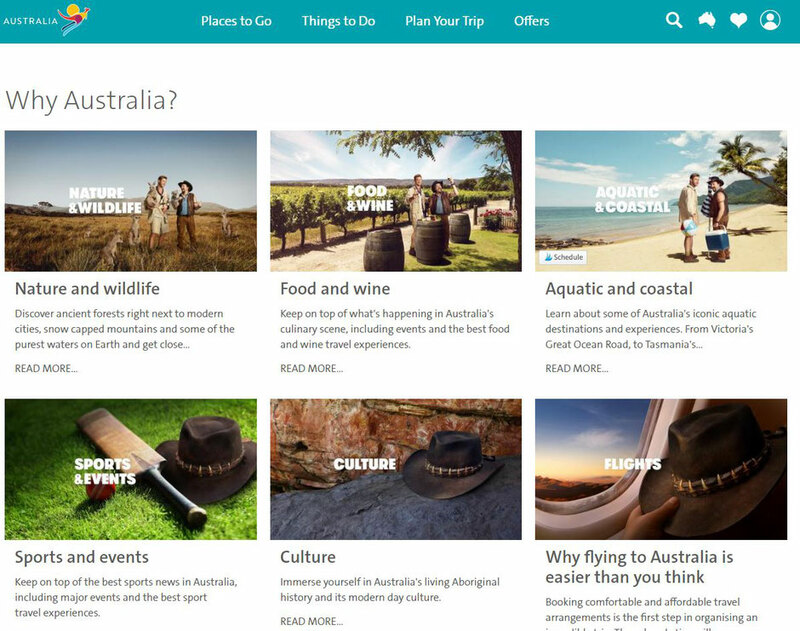 Commercial partners of Tourism Australia have already reported a significant increase in interest and holiday inquiries and to help convert this interest, the website is already publishing tailored travel itineraries, destination information along with airfares and holiday offers. This goes a long way in continuously building on trust and delivering on the promise of a wonderful laid-back holiday to Australia. One-off pieces of content are rarely enough to generate leads on a regular basis. As mentioned earlier, trust is built with consistency. When you consistently deliver on your promise, when you consistently publish content that projects your brand personality, and when you consistently create engaging, valuable and trustworthy content you will see results. The Crocodile Dundee advertisement is a one-off piece of content. Technically it doesn’t even sit in the realm of content marketing but if it were to employ content marketing strategies, then Tourism Australia will follow it up engaging content about Australia on a regular basis. This could be through blog posts, videos, images and more. The spark that has been regenerated by this second wave of Crocodile Dundee mania must continue to deliver on that promise through content so that it sustains and grows conversions in the form of more American visitors to Australia. Your content must stand out in a sea of content that is already done. If you want your content to create a buzz, then your content needs to provide a different perspective, a new argument, some new information, written in a different way or enhanced with visuals, videos or repurposed as infographics and explainer videos. 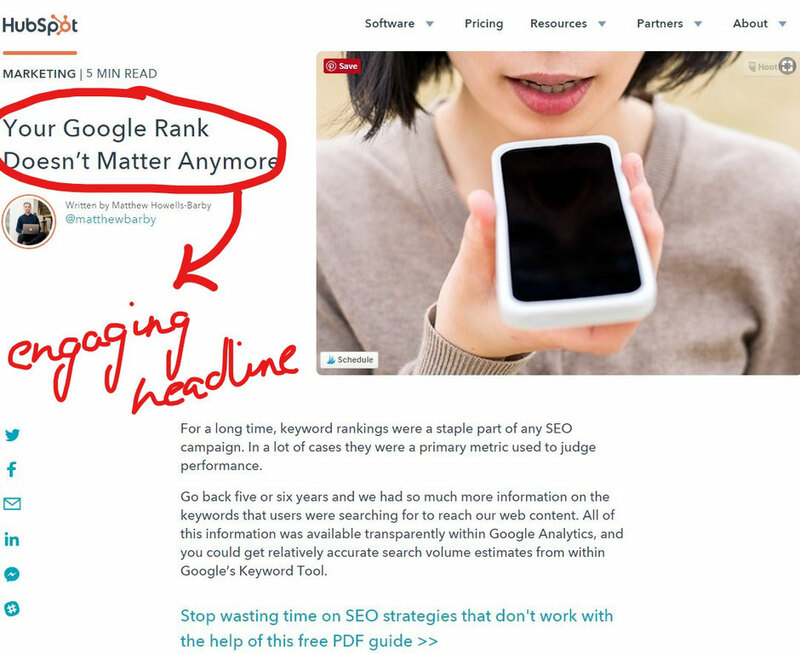 Neil Patel calls it the "next level" content. The Crocodile Dundee ad sure is "next level". Riding on the success of the Crocodile Dundee movie and Paul Hogan’s “Shrimp on the Barbie” ad, Tourism Australia created a next level ad campaign that broke most records in social viewing, social shares, and engagement and will be talked about for a very long time. Next level content comes from careful research, by looking at a topic from other angles and by thinking out of the box. It relies on depth. The multi-sensory approach of the Crocodile Dundee advertisement has evolved from careful research into what worked before and what didn’t, what impressions Americans have of Australia and how to bundle all that research into one piece of content ( or ad in this case) which creates a massive impact. 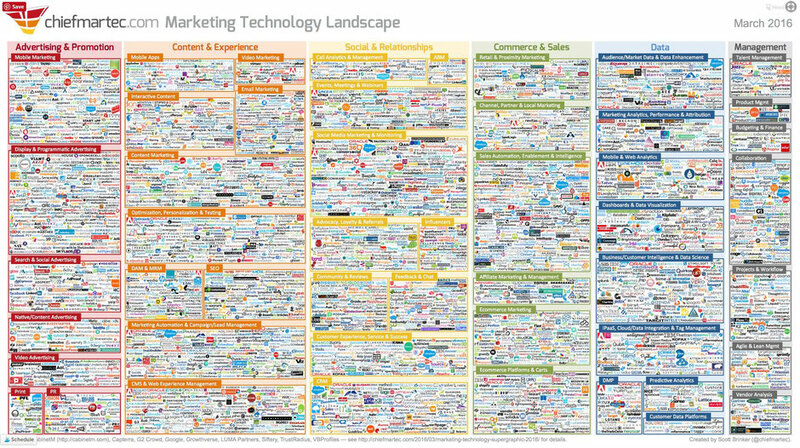 In a fast-changing world, where technologies evolve, and demographics change, your content and content marketing strategy needs to grow and evolve to embrace current market situations. If you think you’ve figured out a winning tactic and stick to it while the world around you changes, you are likely to stay in a rut and will not see any results from that strategy. The Crocodile Dundee ad comes after a series of unsuccessful ad campaigns by Tourism Australia which tried to emphasise other aspects of Australia outside the largely cultivated expectations of Australia based on its beaches, its expansive bushland and warm Australian hospitality - largely reinforced by Aussie icons Paul Hogan and Steve Irwin. They had to change their strategy and show a part of Australia that Americans know and recognised but also introducing something new through Australian larrikin humour with a massive amount of creativity. But is the plan to rely on the campaign to sell Australia to the US? That sounds like a good strategy because while the ad will always be talked about and may even generate some more content and perhaps a movie too, this same strategy will not deliver the same impact the second time around when the buzz dies. 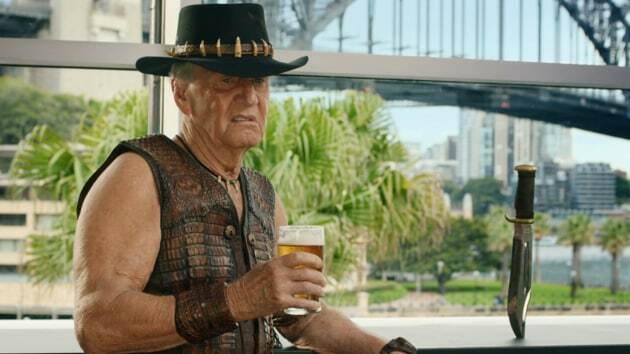 The Crocodile Dundee ad aired on the day of the Super Bowl fittingly included Paul Hogan in a cameo role, continues to wow people on social media and has even resulted in a campaign by the people called #bringbackdundee. While the Crocodile Dundee advertisement campaign is certainly not content marketing campaign it does teach us a lot about harnessing creativity through researching your audience and current market conditions and creating something that touches the heart and soul of your audience. I provide content writing and copywriting services for businesses in health and wellness.